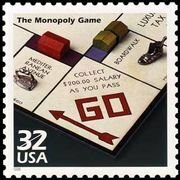 Monopoly, the best selling board game, involves a lot of luck with the roll of the dice determining whether a player gets to own key properties or lands on squares with high rents. Know the odds. Most players make a complete lap around the board in five turns; you're likely to roll doubles once in those five turns (doubles happen about 17 percent of the time). Robert Gale suggest that the above guide is for the US version of Monopoly but the tricks should work for the localized versions of the game as well. There are a few other interesting sites related to Monopoly. One discusses the probabilities of landing on the various squares in the game of Monopoly while another shares the history behind the popular game.